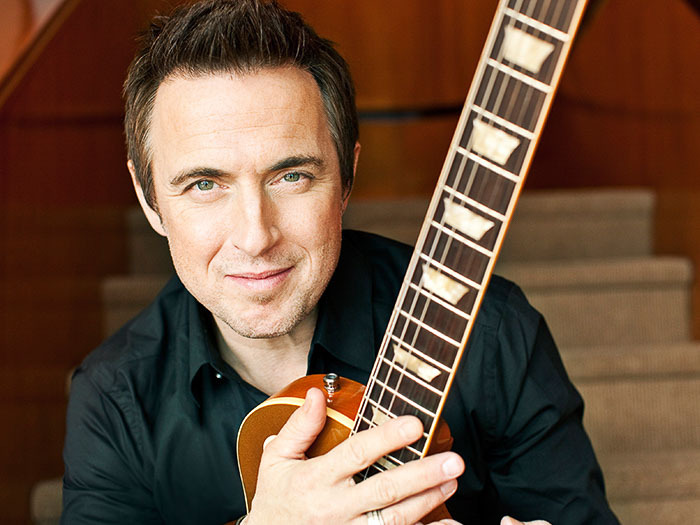 As one of Canada’s best guitarists, Colin James has sold over one million records worldwide, seen most of the world, won many industry awards and international recognition for his versatility as a guitarist and his unforgettable voice. His diverse catalogue of music includes the rock, big band and his first musical love: the blues. He has toured and performed with ZZ Top, The Rolling Stones, Bonnie Raitt, Little Feat, Steve Winwood, Keith Richards, Lenny Kraviz, and Stevie Ray Vaughan. In his dynamic live performances, Colin takes the classic rock and roll sound and combines it with a youthful energy that comes across in spades. Colin is a true triple threat artist: a talented songwriter, a raunchy and soulful singer, and a ferocious guitarist. Winner of 6 JUNO Awards, Colin’s latest album “Traveler” (his 9th.) brings him back to the blues/rock sound he began his career with.